Think a black and white color scheme sounds boring? Think again! Lately, our inbox is full of stunning black and white emails, and we’re all for it. 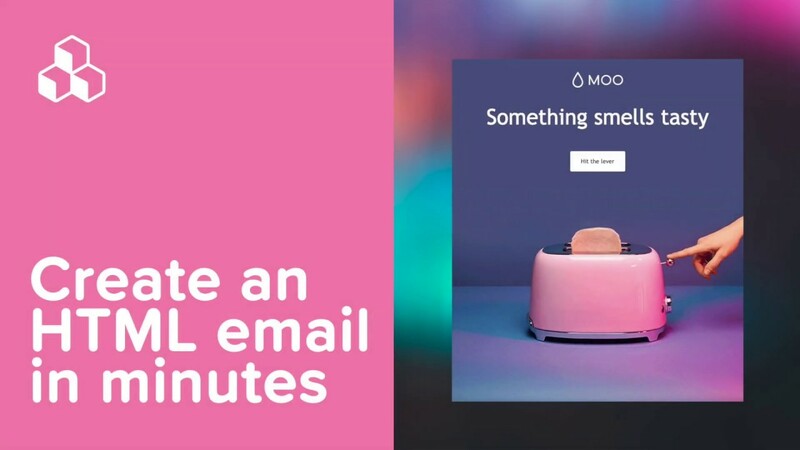 Email designers prove over and over again just how timeless and gorgeous a simple palette can be. Restricting colors in a design might even help you come up with something new. 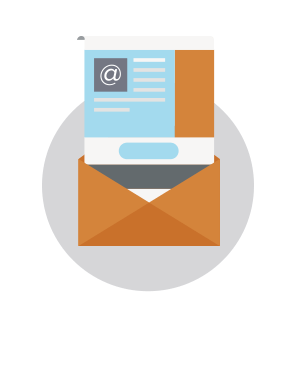 So instead of wondering what you can add to make your email stand out, consider this old adage: less is more. Strip a design down to basic black and white, and let your creative juices flow. Here are some black and white email designs to keep you inspired! Jewelry designer Common Muse stopped us in our tracks with this beautiful email. Doesn’t it look like a page out of a magazine? The photos are stunning on their own, and Common Muse is wise to let them breathe by not cluttering the design. 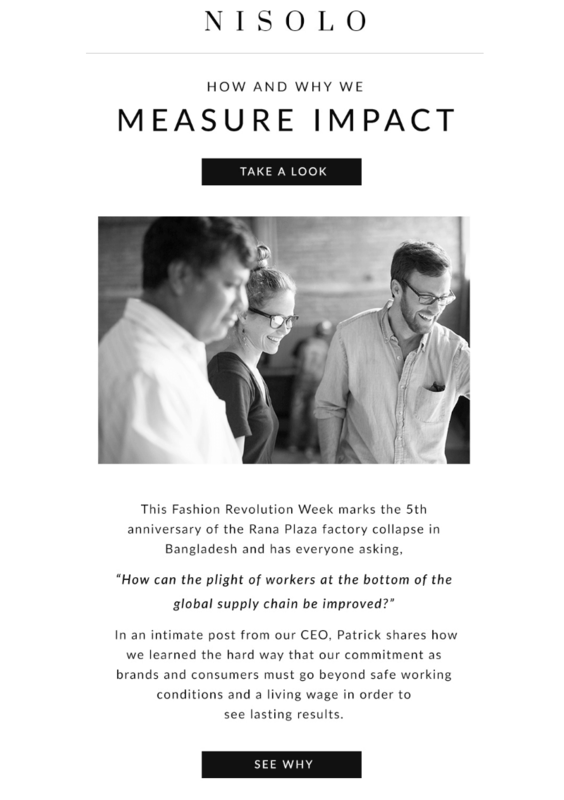 Also, by arranging the images evenly, with just a fine white border between them, and skipping an overuse of text, this email makes a statement. Readers eyes go straight to the jewelry, and each piece speaks volumes. Subject: How would you answer this question about your mom? This darling email from The Lily straddles the line between elegant and approachable. The images and text feel sentimental, while the hand-drawn look of the borders adds some levity. If you’re collecting photos with different quality from various sources, giving all the snapshots a simple black and white treatment creates a consistent look within the email itself. Also, the header and sub-header styling here shows that color isn’t necessary when it comes to delineating content hierarchy. 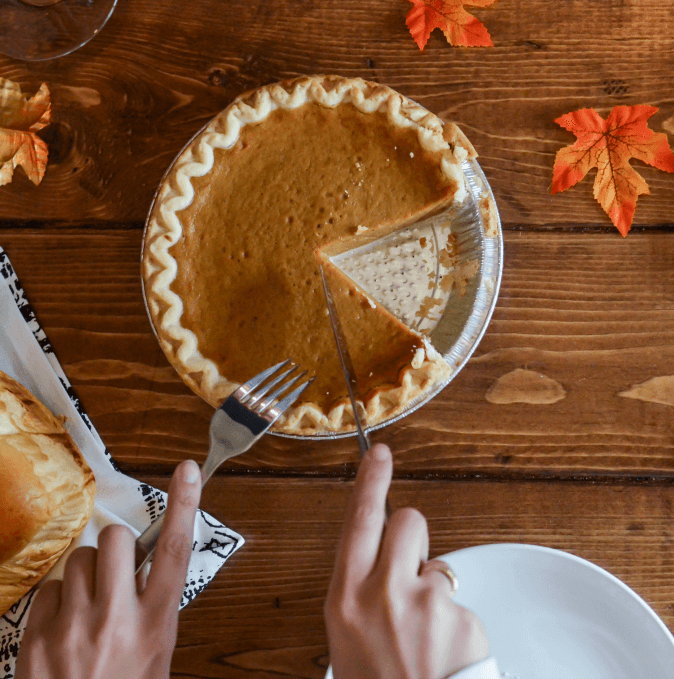 Size, font, and all-caps styling—along with line-height an spacing—are all used to help readers’ eyes move over content with ease. You might not think that the beautiful azure blue of pool water should be turned, well, gray. But the movement of the animated GIF and the pop of color from the text overlay work because the emphasis is on the sale. 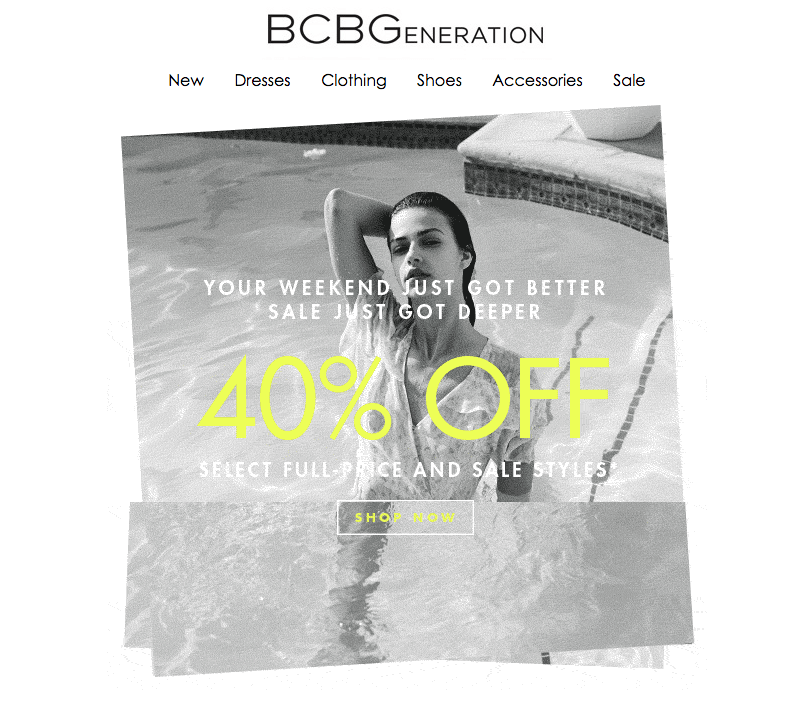 The steep discount—40%— is probably unusual, so BCBG wants that to be what stands out (the number is repeated in the subject line, too). With the black and white treatment, and the quick movement of the GIF, you barely notice what the model is wearing. It doesn’t matter. What BCBG really wants you to see is 40% Off! 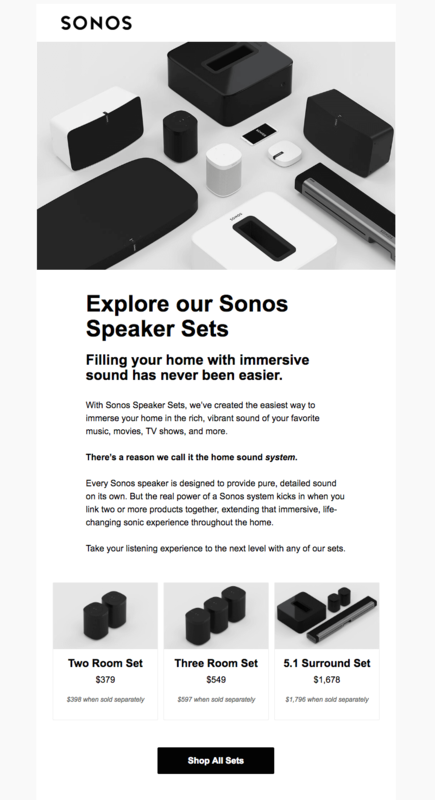 Black and white products certainly lend themselves to a black and white email design, but this email from Sonos still stands out. The elegant, futuristic, and sleek design of its products is the backbone of the visual brand identity and this email. However, Sonos also chooses wisely with a white background, gray borders, (indented) black font, and a boxed effect to play up the drama of the color scheme. The result is spaceship-worthy intrigue and delight. We love a good photo collage! Even though the portrait styles and backgrounds are slightly different for each image in this grid, uniformity is achieved with the all-white products. 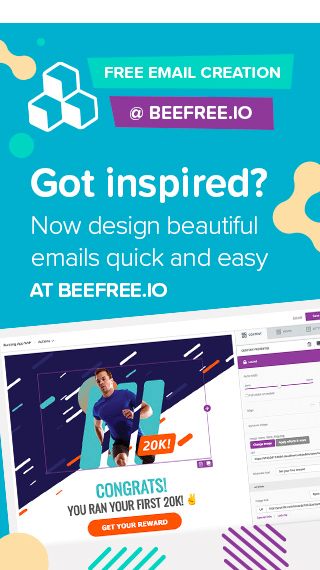 The other great thing about this email design? The lack of body text. The richest sources of written material come from the subject line, a single body header “White Out,” and the CTA button. These product photos from Schuh are spectacular, and they carry the email. Instead of adding headers or labels along with each image, Schuh customizes the CTA button text throughout the email so that readers know what they’re looking at—i.e., “Shop PUMA” goes with the pair of PUMA shoes, instead of labeling the image “PUMA” and using generic button text like “Shop now.” This is a simple move that saves space and streamlines the message. “Ghost” buttons—ones that match the background of an email with just a border—can sometimes get lost, but because of the contrast of black and white here, they’re easy to spot. 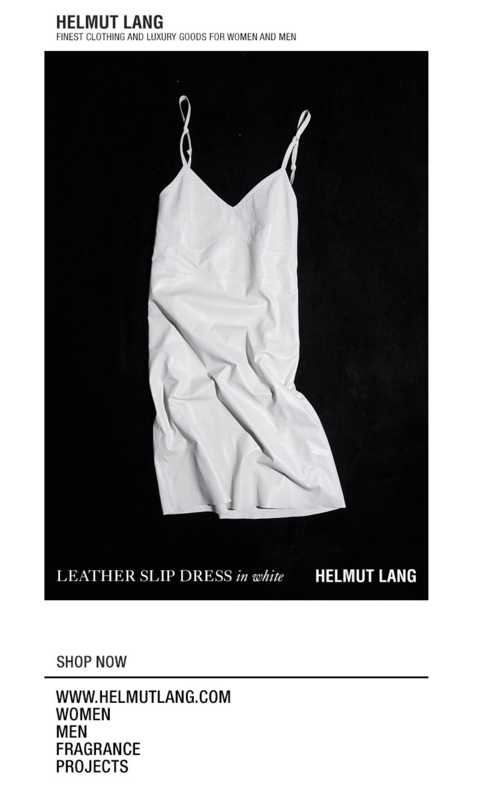 Here’s another stunning email from Helmut Lang that’s minimal on text and big on gorgeous photography. 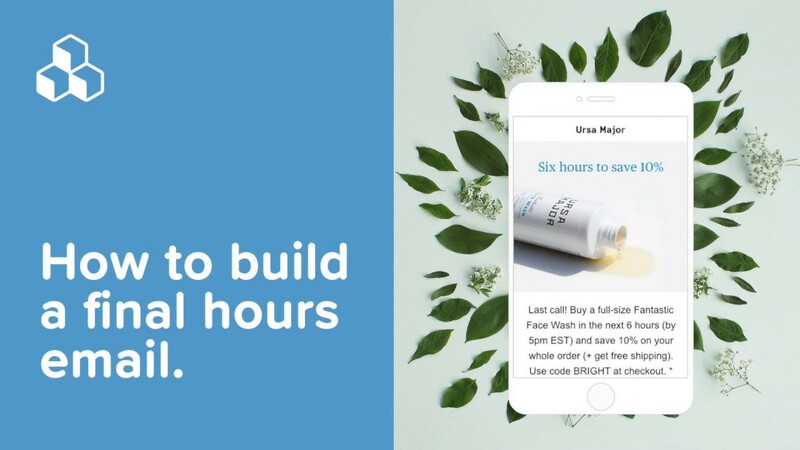 When an image is the star of your email, some brands skip the CTA and just let readers tap the photo for more. Setting up an A/B test where one email has the CTA button and the other doesn’t is a great way to gauge what works best for your audience. And remember, with BEE, you can also put a bulletproof CTA button right on top of your image! Subject: Our CEO shares hard learned lessons.  In this message, Nisolo uses a black and white email design to strike a slightly more serious tone. The classic color scheme is perfect for achieving that. Here, the black and white palette helps communicate the importance of the message. It’s simple and well done. Ready to build your own black and white email? Try a free BEE Pro trial. 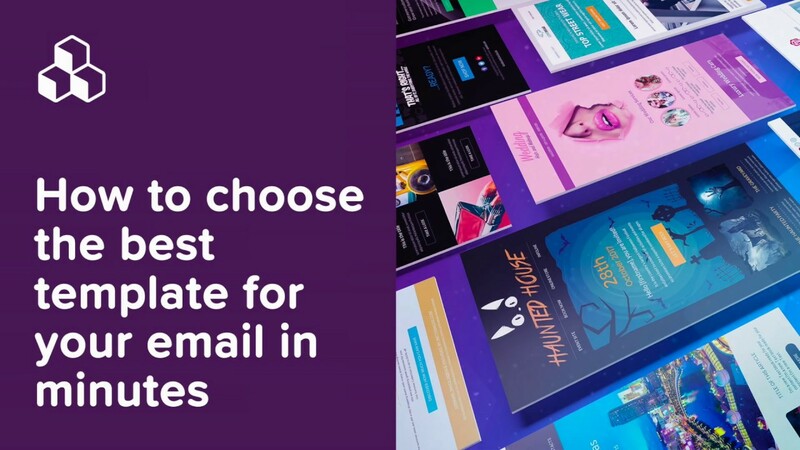 The drag-and-drop tool makes design super easy, and every email is mobile responsive, so whatever creative design you come up with, it will look great on any screen!